Michel Ancel and his minions took the platforming genre by storm two years ago with Rayman Origins, a stunning revitalization of the limbless hero that brought him back to his 2D side-scrolling roots. A simple reboot, however, was not enough for Ancel, and he introduced with the game the delightful hand-drawn UbiArt engine along with a giddy soundtrack and hysterical slapstick edge. The success and undeniable genius of the game pretty much guaranteed a sequel, and, for the second time in a row, Ancel and company have delivered. Just like Rayman Origins, Legends sports a razor-sharp sense of humor and unabashed love for silliness. It takes a little while to get going, but by the final level of the first world, the game is firing on all cylinders. To spoil that pivotal turning point would be a crime, but suffice it to say it’s an amazingly inspired sequence that sets the bar for things that will put a smile on your face. The rest of the game is—there’s no other word for it—wacky. From the bizarre animation (everything has eyes!) to the outrageous soundtrack (which doesn’t quite reach the lofty heights of Rayman Origins but come close), Legends is an exercise in pure bliss. Rayman Origins was not short on content, but the amount of game in this sequel is absolutely ludicrous for a platformer. The main menu, as well as the game’s hub, is set up like a large art gallery, and levels are entered by hopping into the painting. There are the expected six worlds, and each of those worlds has, at the outset, six or seven levels. In addition to these levels, each world has two bonus “rescue” missions and a final “escape” mission. That’s not even the extent of the levels in each world, however. A ways through the game you’ll also encounter Invasion paintings, smaller sublevels where enemies from one of the other worlds will start capturing more Teensies from the current world. The objective is to race through these worlds and reach the end within a certain time period, or the Teensies will be fired off on rockets. These will pop up with increased frequency, so even when you’re working through the final world, you might find that two or three Invasion paintings have appeared in the first world. Another room of the Gallery presents daily challenges, each of which has a leaderboard that grants the victor points to increase his or her Awesomeness level. These challenges are profoundly addicting, and have objectives ranging from trying to collect as many Lums as possible in the time limit, collecting all of the Lums until a clock runs out, or collecting Lums until you die. These have an extremely strong “just one more” feel as the tiniest strategic alteration could be the difference between Silver and Gold. It’s easy to try these tens and tens of times just to get a slightly better score. There’s a major sense of progression here as well. All Lums and Teensies collected in the game go towards a cumulative total. The most immediate effect these Lums have is that the Lum total builds towards unlockable characters. There are over 30 of these characters in the game, and while they’re all mostly re-skins of the same four or so characters (and they all play identically), it’s still fun to see some of the options. The most expensive character requires you to have amassed one million Lums, so expect to put in a great deal of gameplay to unlock all of them. If you collect enough Lums in a level, you are awarded a Lucky Ticket. Scratching these tickets reveals six panels, each of which have a certain icon. You’ll always have at least three matching icons, and this will lead to another award of some sort, whether it be extra Lums, a Teensie, or a Creature. Creatures have their own room in the Gallery, and each day will spit out a Lum. This is a slow way to get Lums, but the large number of collectible Creatures will make things add up quickly, and it’s fun to try to get all of them and watch the collection grow. Finally, there are Origins Paintings. Yes, about 40 levels from Origins return here, and have been re-skinned with the Legends art style and have had some Teensy locations changed. The inclusion of these paintings almost doubles the length of Legends, as every world from the prequel makes an appearance with at least 4 or 5 levels in each one being present. Lovers of the art style in Origins may be mildly disappointed. While a comparison is petty in the grander scheme of things, Legends trades that cartoony, sugary vibe for a more detailed, pencil-drawn feel. Weirdly, bosses are rendered in full 3D, a decision that just slightly detracts from the game. These changes are not necessarily worse, but they are different. Other omissions are also noticeable; the chest chasing levels are nowhere to be found (except for in the Origins levels), and why, why are those delightful singing King Lums MIA? Of course, these are more observations than complaints; Legends is so jam-packed with euphoria-inducing content, some changes from its predecessor are forgivable. The level design in Legends sports a level of variety that encompasses far more than simple aesthetics. One world may find you carefully timing jumps with the actions of giant worms consuming regenerative cake, while another mashes together Bioshock and Mission: Impossible for stealth-based platforming. The level of creativity on display here is supremely impressive. The stages encourage exploration and hide secrets in such a way that you have to look close to find them, but not scour every corner. Unearthing a secret comes with the now-trademark “Ooooh!” chorus, which is as hilarious the hundredth time as it was the first time. 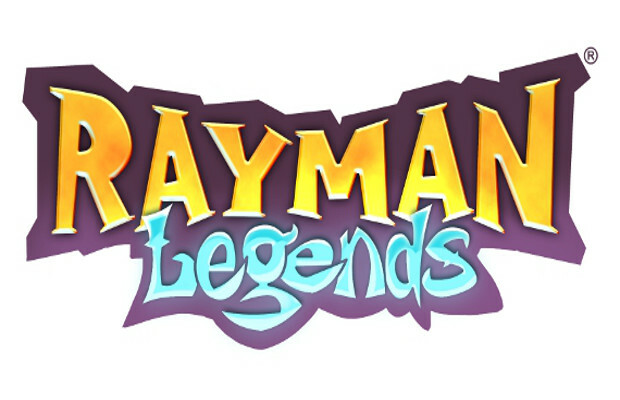 New to Legends is the ability to utilize Rayman’s buddy Murfy, who can cut ropes, move platforms, and poke the eyes of larger enemies. In the Wii U version of the game, this was all accomplished via the console’s touchscreen controller. However, on the other versions of the game, Murfy intelligently hovers over the nearest interactive object, and will activate it at the touch of a button. This works 99% of the time but there is the very rare outlier where Murfy might not get to an object when you’re ready for him, resulting in failure of some time-based challenges. When it does work, you’re in for a frantic, precise experience that delivers a huge rush once you’re in the zone. Local co-op returns, and it’s just as absurd as it’s always been, with hectic, fast-paced contests for the gold coins and characters slapping each other left and right for the majority of the Lums. With two players it’s silly. With three it’s crazy. With four players, it’s downright absurd. Suffice it to say, this is one great party game. Ubisoft thought of you and your friends with Kung Foot, a supremely stupid/hilarious soccer game that has players kicking a ball around to score into goals in either side of the screen. It’s a minor distraction that still manages to be very fun. Few games represent such a triumph of imagination and design as Rayman Legends. The euphoric audio, the warm visuals, the delightfully bizarre sense of humor—it’s all just so wonderful. It exudes personality and happiness from literally every crevice; this is the ultimate remedy for a sour mood. As if that were not enough, it’s also one of the best, if not the best platformer of this generation. Few games can be considered a “must own,” but the giddy, content-rich Rayman Legends is one of them. This is the kind of game that you only come across once in a long while. Rayman Legends was developed by Ubisoft Montpellier and published by Ubisoft. A PS3 copy of the game was purchased by the editor for review purposes.